As a specialist in these fields, Jason’s primary areas of expertise include laparoscopic adjustable gastric banding, laparoscopic inguinal, femoral, incision hernia repair, laparoscopic cholecystectomy, appendicectomy and laparoscopic colorectal surgery. 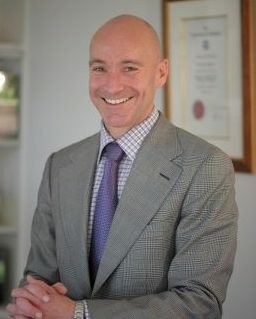 A practicing surgeon with over 23 years experience, Jason Winnett has performed over 1300 weight-loss surgical procedures, 15,000 endoscopic procedures and has successfully treated thousands of patients with obesity, or weight-related issues. Jason has a reputation for his excellent personable skills, which, when combined with his expertise and knowledge in his field gives him a wonderful bedside manner that countless patients have commented on. In a discipline where many surgeons are very clinical, and simply view their patients as a “case number”, Jason is an exception. He likes to learn about his patients – their families, their lifestyle, their hobbies, where they work – because this not only helps him to form a far more accurate picture of the individual he is treating, but it helps put his patients at ease. Undergoing any surgical procedure can be a very confronting, even traumatic experience for some individuals; Jason understands this and he strives to make the entire process as easy as possible for his patients, which not only helps to reduce their anxiety toward the procedure itself, but creates an immediate sense of trust between patient and doctor, a connection that is imperative when a patient is required to place their faith in a surgeon who is about to perform a complex procedure on them.